Stan Musial is 2nd (Aaron) ALL-Time for Total Bases with 6134 for his career. He is 3rd ALL-Time with 1377 XBH. He also is 5th ALL-Time in RBI with 1951 (1 ahead of A-ROD) and 8th in Runs Scored with 1949. His 3630 Career Hits also put him in 4th Place ALL-Time. He is in 3rd Place for Doubles with 725. He is also in the top 10 for Games Played and Plate Appearances. The most iconic figure in the history of the St. Louis Cardinals franchise will be laid to rest on Saturday. 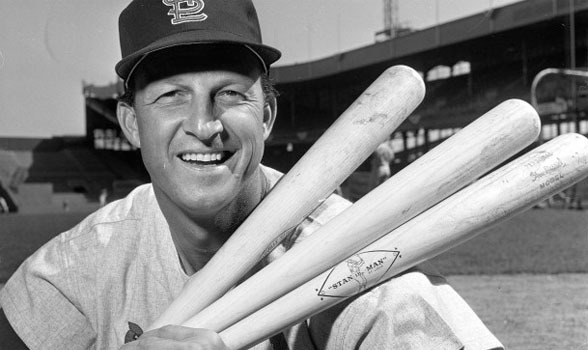 Stan “The Man” Musial died on January 19 in his home in Ladue, MO, just minutes away from a city that loved him dearly. All of Cardinals nation was in mourning over the weekend as the news spread. Current Cardinals Center Fielder Jon Jay tweeted his condolences to the Musial family.